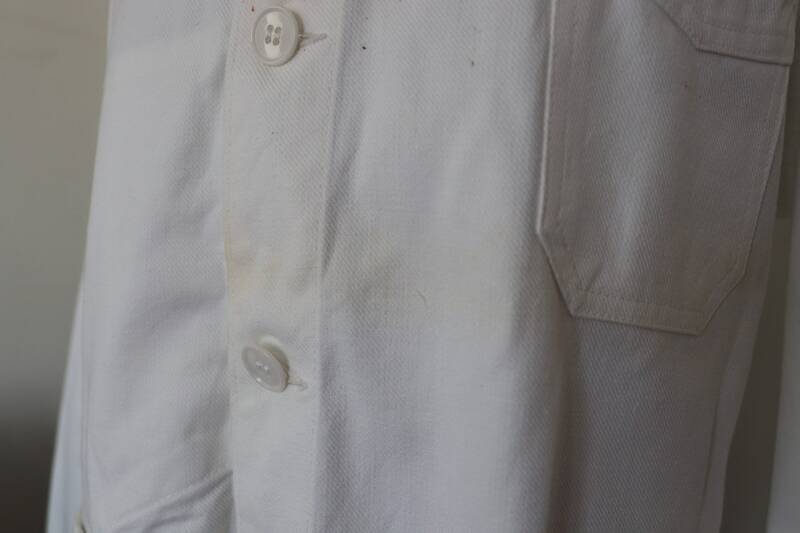 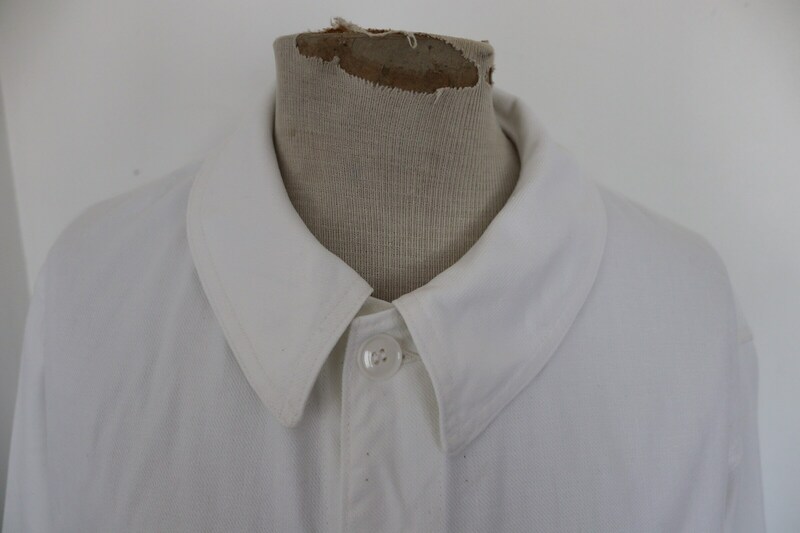 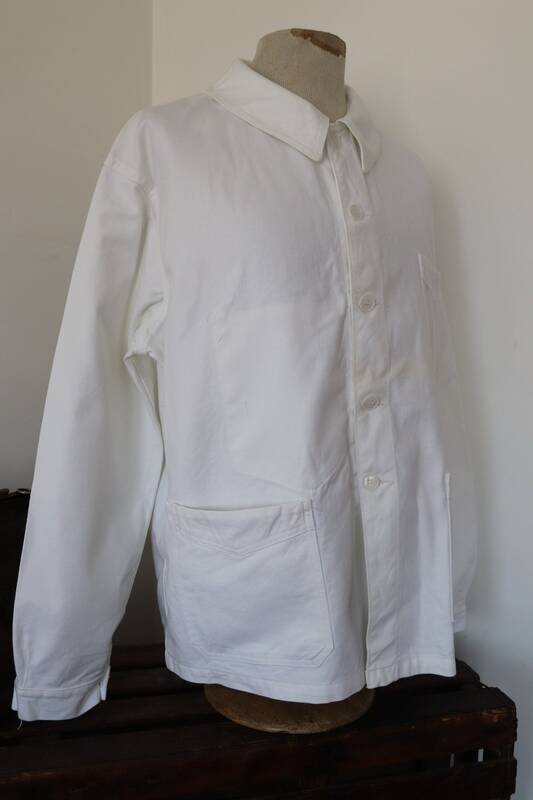 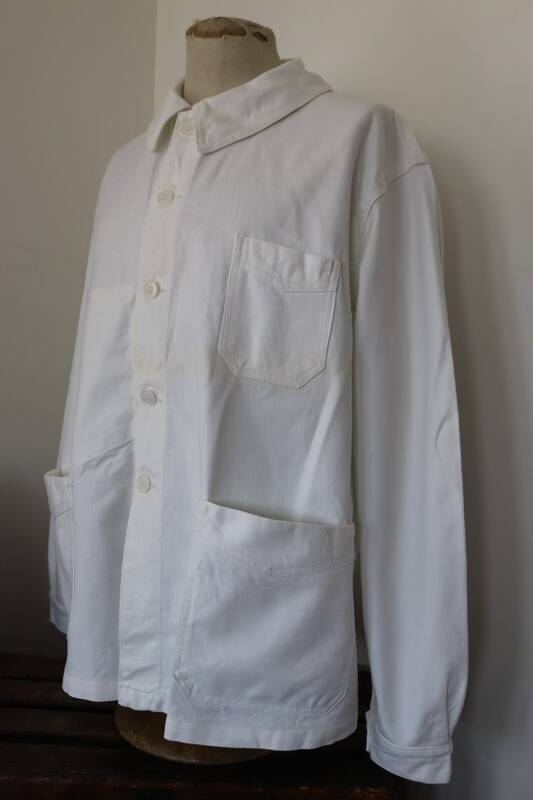 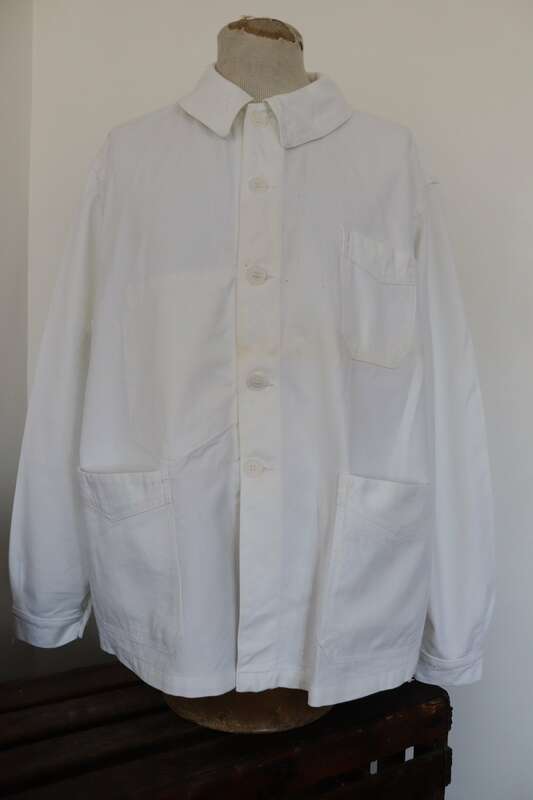 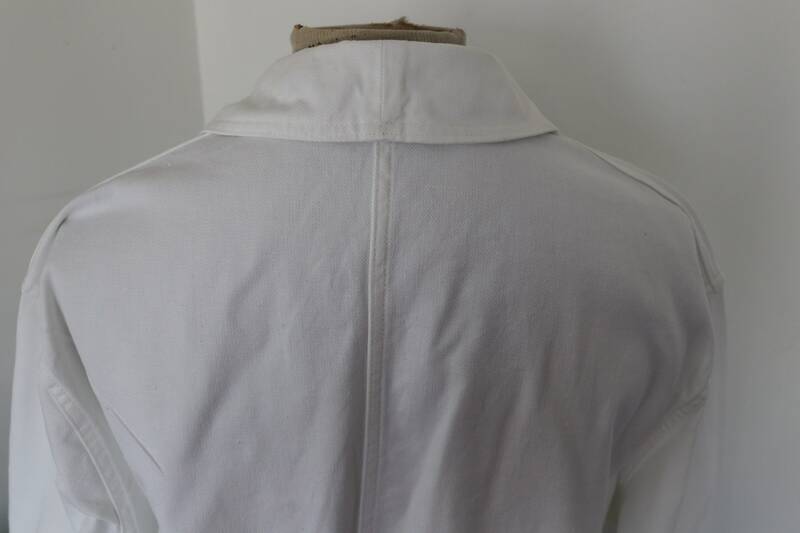 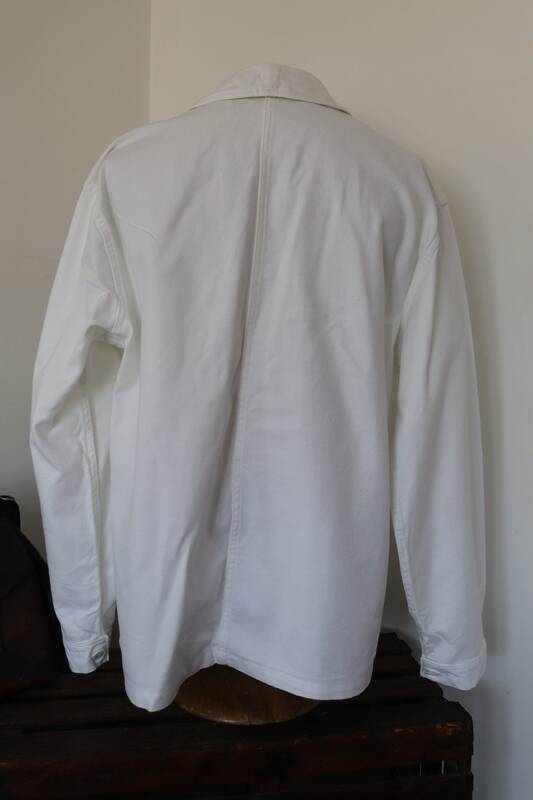 A white cotton twill painter's jacket dating from the 1960s. 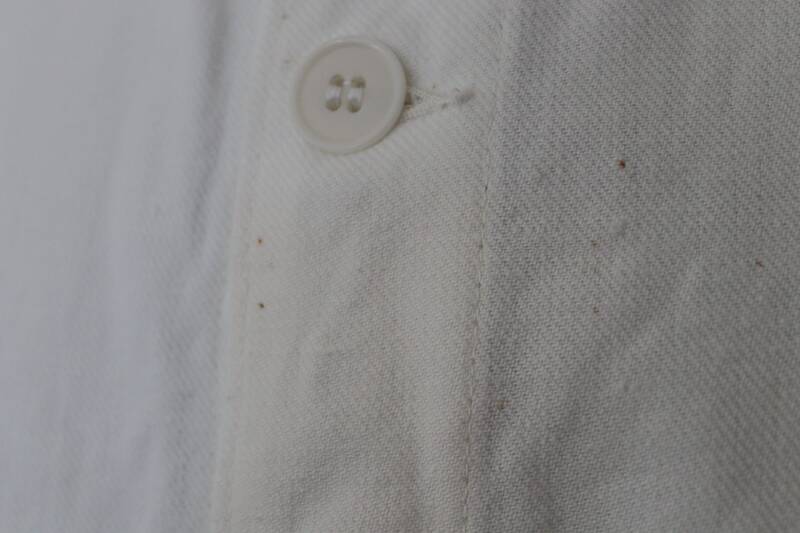 Noted flaws - deadstock, unworn item, but there is some faint storage marking and small spots on the front - please see photos. 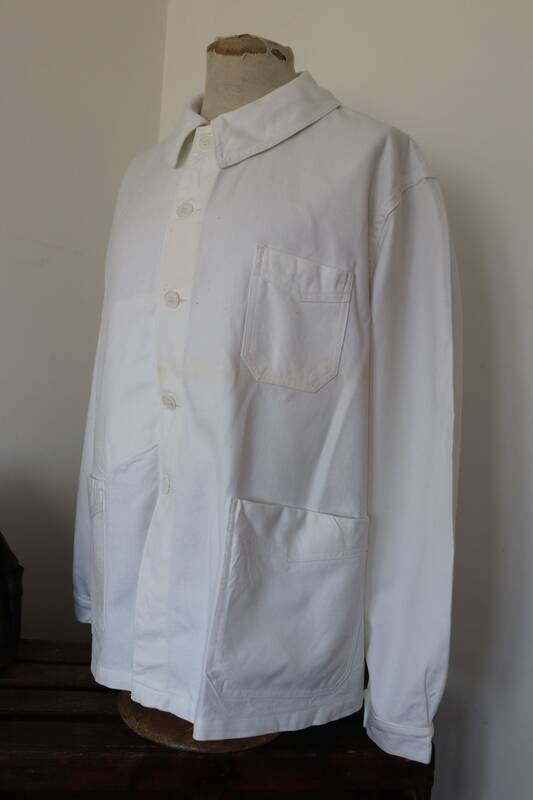 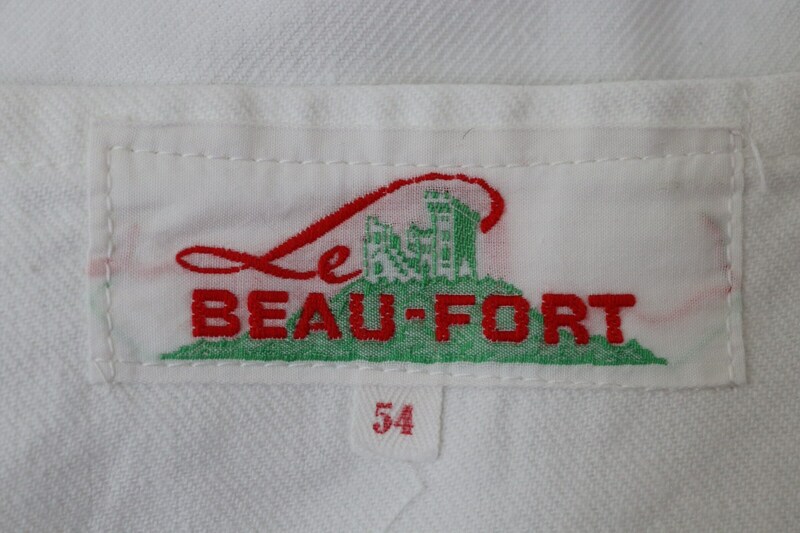 Unworn, cotton twill, perfect for layering or as a summer jacket, larger size, full set of buttons, single chest pocket, two hand pockets, freshly laundered.